Belarus has been in the headlines recently, with Svetlana Alexievich winnig the Nobel Prize for literature a few days ago, and President Alexander Lukashenko re-elected shortly after. You could say the former is good news and the latter bad; but also that dissent and censorship are magnified by international lenses, held up at different angles depending on who’s handling them and for what reason. Lukashenko was re-elected with 83.5 percent of the vote on 11 October. The reaction from observers such as the Organisation for Security and Cooperation in Europe (OSCE) was stern – in their view the elections were not democratic. European Union’s plans to suspend sanctions against Belarus are premature, and linked to the fact that Lukashenko fulfilled a key EU demand when he pardoned six political prisoners in August. The EU wants Belarus to work as a buffer zone with Russia. Brussels is therefore willing to turn a blind eye to Lukashenko’s poor democratic record and make a U-turn in its policy towards Minsk. The sanctions were imposed due to relentless persecution of dissidents. The fact that the elections allegedly took place without mass arrests meant that Minsk had passed the test, however low the bar. By suspending the sanctions, European governments are changing their attitude for geopolitical reasons. 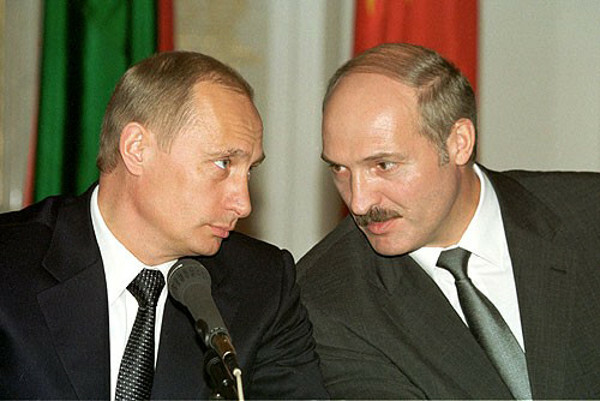 Lukashenko is needed as a contact man with Russia and as a partner for Ukraine. The EU – essentially in the shape of its dogged European Council body – is floundering, with knee-jerk reactions now the norm. No clear long-term visions on how to manage the eastern ‘front’ evenly are emerging. The lack of diplomatic gravitas just shows, in all its brutal evidence. Many years of harsh conduct towards legitimate dissent is quietly being pardoned. The handshake with the newly re-elected President feels like dirt has been brushed under a diplomatic carpet, hushed up and forgotten about. Svetlana Alexievich’s award acts as a much-needed counterweight to this. The Belarusian investigative journalist and non-fiction prose writer, who writes in Russian, has lately been given the Nobel prize ‘for her polyphonic writings, a monument to suffering and courage in our time’. The first writer from Belarus to receive this award, Alexievich was taken aback by such huge acknowledgement; she enigmatically said: “On the one hand, it’s such a fantastic feeling, but it’s also a bit disturbing”. Bela Shayevich, the English-language translator of her works, described possible political implications: Alexievich exposed the Soviet and post-Soviet world tragedy, its lack of freedom and the subsequent post-1991 disorientation people experienced. These Belarusian events are a case in point. They simultaneously display how much the EU has become engrossed with finance, bookkeeping and military ideas, nearly forgetting everything else in the process. Direct democracy and human rights have become merely cosmetic, despite all the post-EEC treaties focusing more on people and a supposed Euro-common good. The EU must delve more into the harsh truth of things and be truer to its professed self, instead of validating a dictator as a viable diplomatic mediator. So what? The EU turns a blinds eye to human rights in the US as well as throughout the EU. It seems the west is constantly against Russia and anyone who sympathises with Russia, like Belarus. Your desire for EU to lecture others on human rights is pitiful. There are widespread human rights abuses across the European Union much of it associated with vicious and illegal conduct of recent migrants or visitors who engage in domestic servitude, child labour and modern forms of slavery. The EU should get its own house in order and you should focus upon crimes against humanity taking place in your neighbourhood, Because they are. But isn’t it so much easier to bleat on about abuses in far away places? Helps you feel superior and righteous?